In the past, plastic and cosmetic surgery was mainly reserved for women. However, nowadays, men are choosing to undergo procedures to help improve their appearance and self-esteem. This sudden change may be due to the fact that cosmetic and plastic surgery are now widely accepted by society. Also, cultural shifts have caused the idea of the “ideal” male to change, with soft skin and a youthful appearance becoming desired. The recent development of quick and easy non-surgical treatments that require little to no downtime may also attribute to the popularity of men’s treatments. These treatments often appeal to men since they do not require extended downtime from work, and do not interfere with physical activities. Many men also look to achieve subtle and natural-looking improvements, which can be achieved with non-surgical options. According to the latest stats from the American Society of Plastic Surgeons (ASPS), male plastic surgery has risen 28% since 2000. 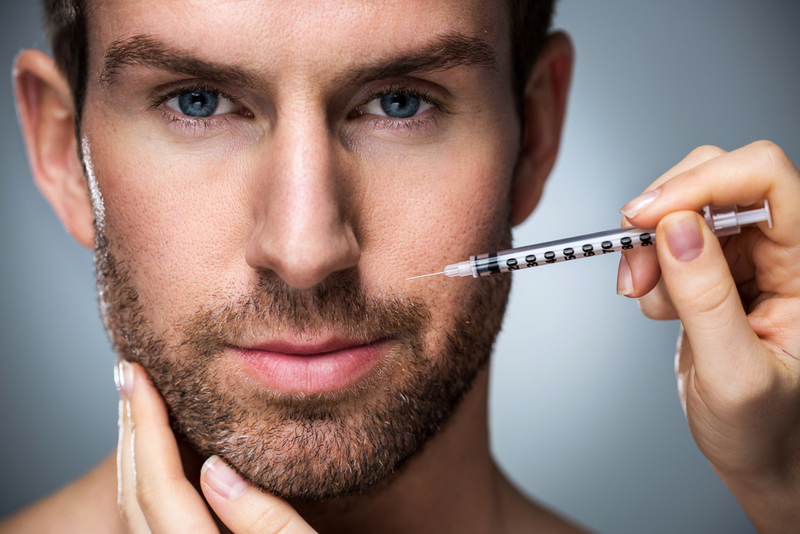 In 2016, the top five male cosmetic minimally invasive procedures included Botox, laser hair removal, microdermabrasion, chemical peels, and soft tissue fillers. At MDSkin®- The Lounge, we offer a wide array of non-surgical treatments to help men look and feel their best, including injectables, dermal fillers, lasers, body sculpting, skin rejuvenation, and more! Our team of certified experts understand that a man’s cosmetic needs are different from a woman’s, and work to create an individualized treatment plan to meet your goals. If you are interested in learning more about the non-surgical treatments we offer for men, contact our Scottsdale office today at 480-696-6670 to schedule a consultation. Our team works to create a comfortable and professional environment for each of our patients for a superior treatment experience.